Here's a challenging writing exercise. Look at this scene of a mining town during the Gold Rush. 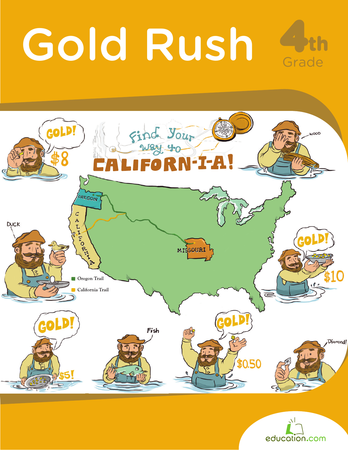 Find three positive things about it, and use those to create an advertisement that persuades people to travel to California for gold. Imagine if Pinocchio ran away and ended up in Alaska during the Gold Rush! Your little writer will decide what happens next.